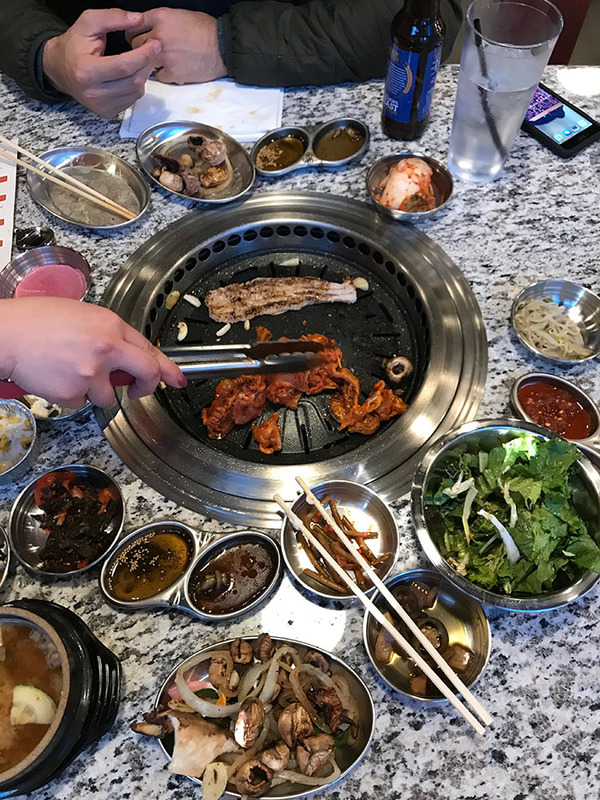 Let’s Meat, a new all-you-can-eat traditional Korean BBQ restaurant, will open this week in South End’s Gold District. 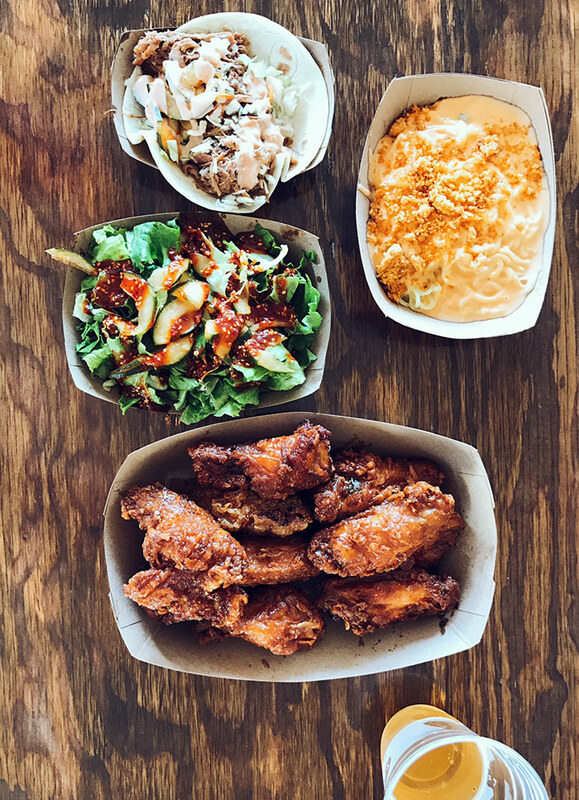 It’s the second restaurant from husband-and-wife team Tim Chun and Lisa Kamura and will be located adjacent to the couple’s first runaway hit Seoul Food Meat Company. You’ll find both at 1400 S. Church Street and can expect a Let’s Meat opening this week. 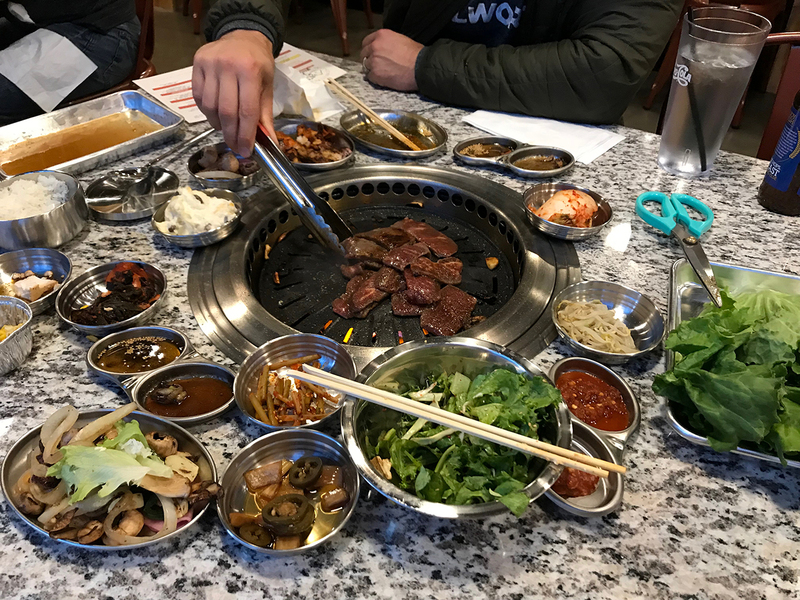 If you’re thinking “But wait, I thought Seoul Food was already a Korean BBQ restaurant,” you’re sort of only half wrong. 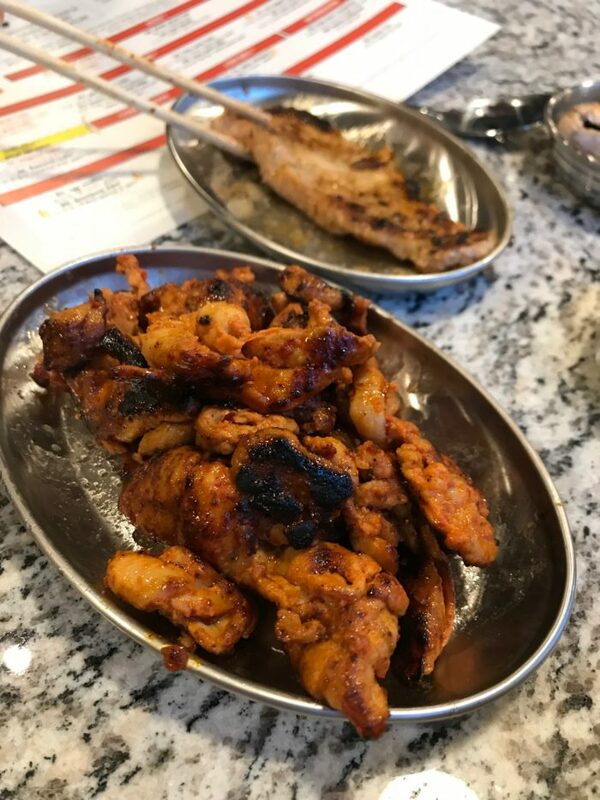 Seoul Food is a barbecue joint but it’s a Southern barbecue restaurant with a heavy Korean influence and is quick to point out the distinction. 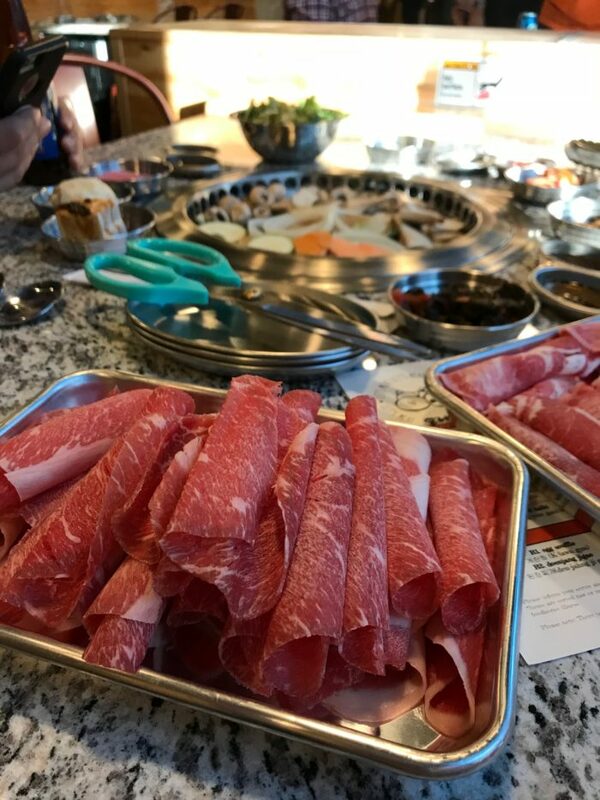 Let’s Meat, on the other hand, is packaged as an authentic Korean BBQ restaurant complete with built-in burners in the tables where you cook your own trays of raw meat. The all-you-can-eat experience is a $29.99 flat rate ($11.99 for kids 4-10) for everyone at the table. Once you’re seated, your server will fire up your grill and explain the process. No worries if you’re overwhelmed. They’ll walk you through it. You get unlimited meats and sides for a maximum of two hours. To-go food is not permitted and a 10% upcharge will be added for excessive leftover food so don’t get greedy. Only order what you can consume in two hours. They’ll bring out an elaborate tray of sauces, pickles, salad and fresh toppings. You can also order a side of lettuce leaves or rice to make wraps and rice bowls with your meat. Food comes out fast and cooks fast so you can order in waves. Don’t get everything all at once. Wait until you’ve freed up grill space (and confirmed you still have stomach space) before trying something else. They recommend starting with un-marinated meats so you don’t gunk up your grill early. These are highlighted in red on the menu. Grilling options include beef, pork, chicken and mushrooms and everything is included in the $29.99 entry price. Specialty add-ons are available for $13.99 each. If you have room, you can order sides (called “randoms”) like potato salad, egg souffle and mixed veggies. Definitely get the corn cheese. It’s just a cup of corn and cheese you put on the grill and melt. A+. 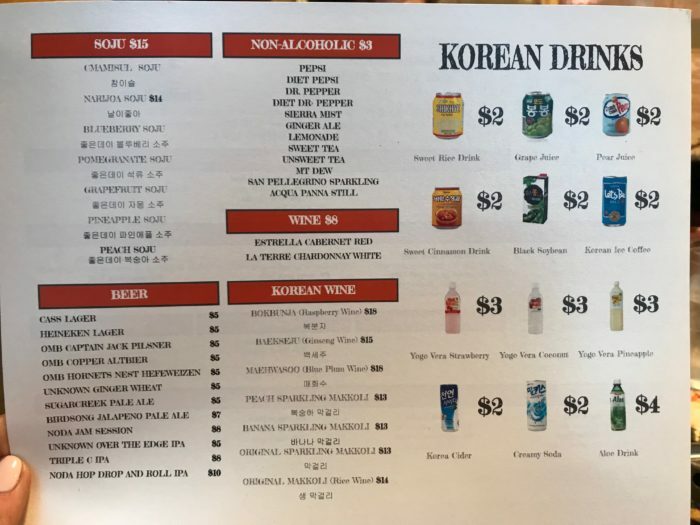 The beverage menu is a dead simple selection of soju, Korean wine, mostly local beer and Korean juices and sodas. Vegetarian? 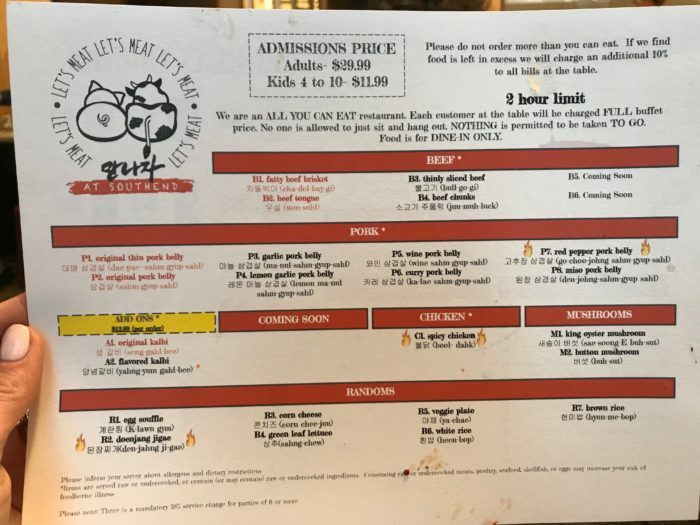 A restaurant called Let’s Meat probably isn’t for you, but I’m vegetarian and understand how group dining dynamics work so sometimes you just land where you land. The $30 flat rate does apply to you and is a bit jarring given the limited options, but you won’t be totally left out. 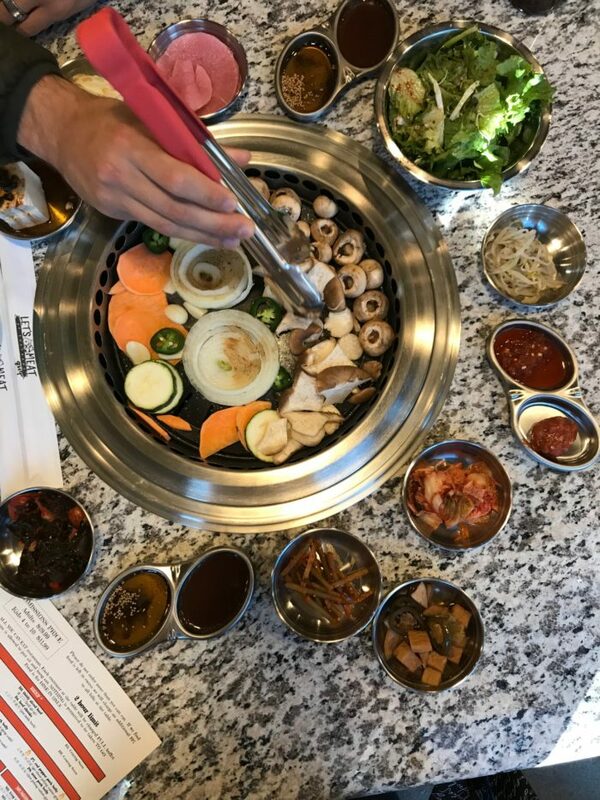 They do have veggies and mushrooms you can grill (just do it first before the meat) and most of the sides and toppings are vegetarian. Go for the soup and add rice. 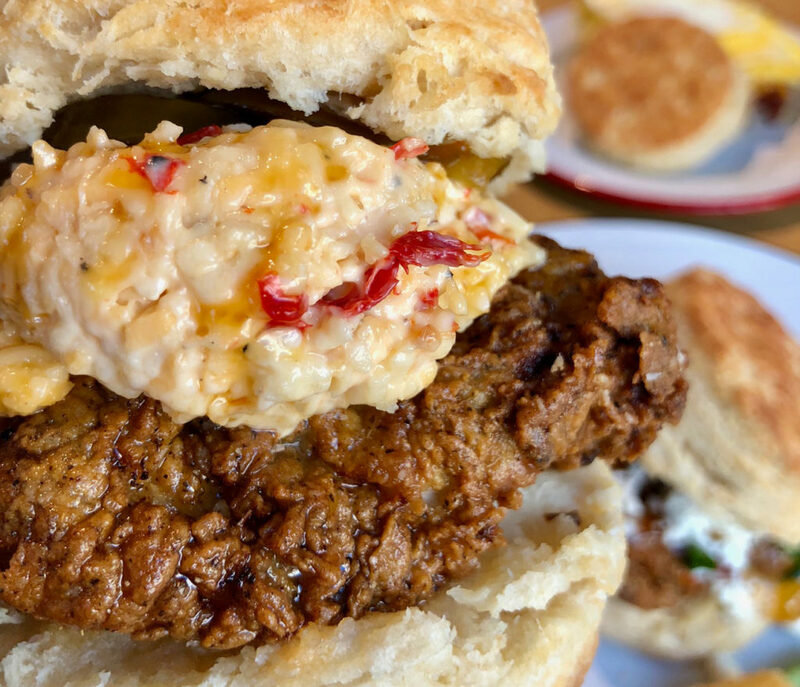 Let’s Meat is a fun, casual, engaging experience that’s unique to the South End neighborhood and will absolutely kill it. Chun and Kamura already have a built-in dedicated following next door at Seoul Food and given the severe lack of Korean restaurants in greater Charlotte (note Bulgogi Box has opened since that story was originally published), I’d expect new patrons to travel from all over to check it out. 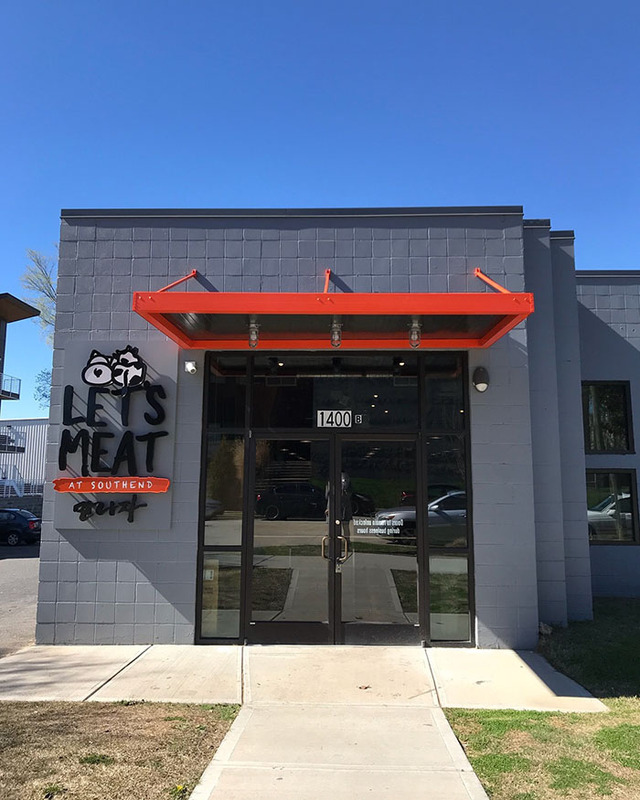 Find Let’s Meat at 1400 S. Church Street and look for an opening this week.